The Goodies: The Complete BBC Collection is now available to pre-order on Amazon! The Goodies: The Complete BBC Collection is being readied for release for the first time ever anywhere in the world. In 1970, The Goodies unleashed their legendary blend of surreal storylines, strikingly topical satire, slapstick and general lunacy on an unsuspecting viewing public. 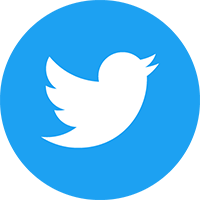 Capturing the irreverent and rebellious flavour of the decade, this phenomenally popular, award-winning series spread its mischief over twelve years – making household names of creators, writers and performers Bill Oddie, Graeme Garden and Tim Brooke-Taylor. From a giant white fluffy kitten called Twinkle to a slippery climb up a giant beanstalk, from the ancient Lancastrian art of ‘Ecky Thump to fighting a ban on fun instigated by an all-too-real puppet government, this is television comedy at its undeniable best! Now, for the first time ever, Network Distributing is bundling all 69 episodes and specials the terrific trio made during their ten year run at the BBC into one gargantuan box set – for many episodes this will be their DVD debut! This eagerly anticipated box set will include An Audience with The Goodies. Recorded in June 2018, this one-night-only event saw Tim, Graeme and Bill reunited on stage to discuss their career, the enduring popularity of the series and welcome questions from their most devoted fans. 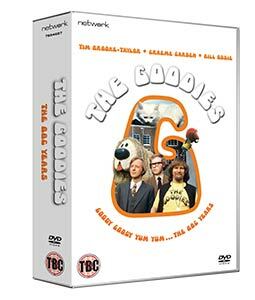 The Goodies: The Complete BBC Collection, which runs to 2040 minutes, is now available to pre-order and will be released on 24th September.